Does the Quest have what you want out of a vehicle? Scroll past the video to find out! It's hard to find the hard facts all in one spot. Peoria Nissan arranges these reviews so you have the best resources from the best writers. The following article is filled with usable information- it contains everything so that you can make smart decisions about the Nissan you want to buy. Does the Quest have what it takes to be your next Nissan? Continue reading and find out! 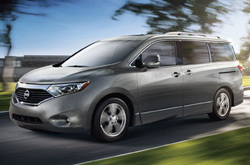 Check out the 2013 Nissan Quest alongside versus similar autos like the 2013 Chrysler Town & Country, Honda Odyssey, Kia Sedona and the Toyota Sienna, and you will discover that the 2013 Quest out does those vehicles in loads areas. Pay attention to the reasons see why! Don't wander to a mom and pop car repair shop in Phoenix when Peoria Nissan's wonderful Quest experts are only a quick ride away from home. We also protect our patrons with a long-term warranty on our work - more than most mom and pop shops do. 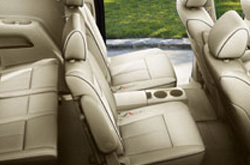 Peoria Nissan's auto service authorities will help keep your Nissan Quest in outstanding physical shape. We can undertake a simplistic job as an oil change, or deliver quality involved Nissan Quest service and repairs like strut and shock repairs, timing belt replacements and Quest transmission rebuilds. For tried-and-true Nissan repair in Phoenix, drive your Quest to Peoria Nissan, where you can bet on getting one-on-one service. Take a look at our current service specials by clicking the link below.